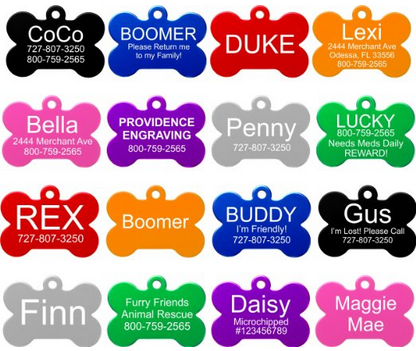 The common name says it all. 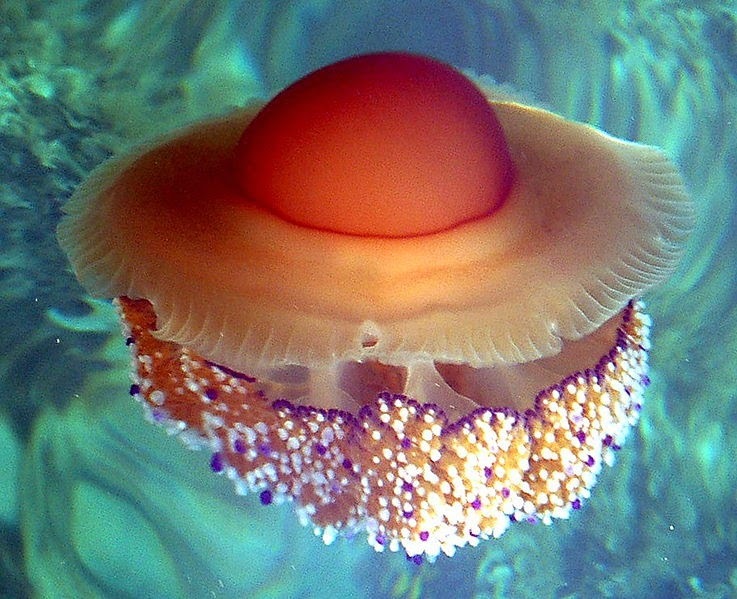 This weird-looking jellyfish literally looks like a fried egg! 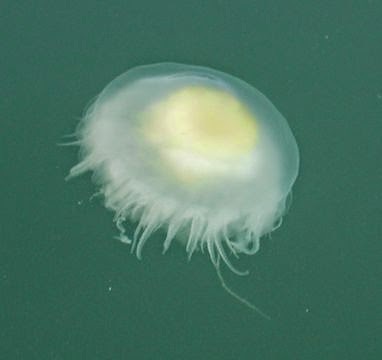 Scientifically known as Cotylorhiza tuberculata, it is one of the two jellyfish species that resemble a fried egg. The other one is Phacellophora camtschatica. Not surprisingly, it also goes by the same name. They may look tasty, but you probably don't want to have one for breakfast! However, you can have a lot of fun with C. tuberculata. This jellyfish has a mild sting that causes very little - if any - pain to humans. One of my best childhood memories is me and my friends grabbing them with our bare hands and wearing them like hats to other unsuspecting kids! To be honest, it's something I continue to do. Give it a try if you ever happen to come across one. Just avoid doing it to strangers, I don't think they will appreciate it! P. camtschatica is a massive jellyfish, with a bell up to 60 cm (23 in) in diameter and sixteen clusters of up to a few dozen tentacles, each measuring up to 6 m (~20 ft) long. In the past, the species was part of the family Ulmaridae, but is now listed as the sole member of the family Phacellophoridae. This cool-water jellyfish can be found in all major oceans, occurring in depths ranging from 0 to 168 m. Its diet is mainly comprised of other smaller jellyfish and gelatinous zooplankton, that get trapped in its tentacles. It spends much of its life motionless or slowly pulsing the bell while drifting. The egg-yolk jellyfish has a very weak sting. Many small crustaceans take advantage of this - like the larva of the Cancer gracilis crab - and regularly ride on its bell and even steal food from its oral arms and tentacles! Fried egg jellyfish, Enoshima Aquarium, Japan. Much of our knowledge on the species' life cycle comes from the Monterey Bay and other public aquariums, which have had much success in breeding the species. Fertilized eggs develop into ciliated planula larvae which swim, then settle and metamorphose into scyphistoma polyps. 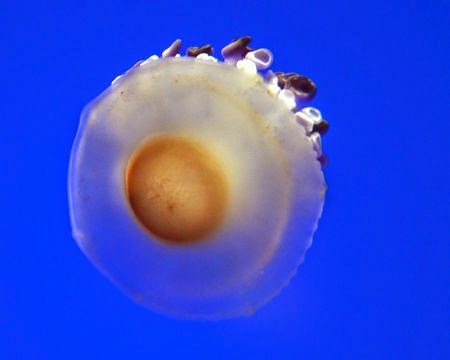 Mature scyphistoma have 30 to 44 tentacles and reproduce asexually by side budding as well as strobilating to produce ephyra which develop into mature jellyfish. In captivity, it takes about 9 months for an ephyra to grow into a mature medusa. C. tuberculata is a species of jellyfish commonly found in aggregations in the Mediterranean, Aegean and Adriatic Sea. As aforementioned, it has a sting with little to no effect on humans. The scientific name Cotylorhiza is derived by the greek words “κοντύλι,” meaning cup, and “ρίζα,” meaning root. A typical adult measures 17 to 20 centimeters wide, though they can reach 50 centimeters across. They have a smooth, elevated dome that is surrounded by a gutter-like ring. The marginal lappets are elongated and subrectangular. Each mouth-arm bifurcates near its base and branches several times. In addition to some larger appendages there are many short, club-shaped ones that bear disk-like ends. These jellies primarily feed on zooplankton and reproduce asexually. Larva attach themselves to a hard ocean surface and grow in a polyp colony that looks like a stack of saucers. The tiny babies are then released from capsules, like spaceships and drift away. - Reclos, George J. (2006): "Cotylorhiza tuberculata (Macri, 1778)"